If not because I heard about Tateyama Kurobe Alpine Route, I may not even know the existence of such a place called Toyama 富山 in Japan! In order to climb up (or rather, taking public transport to) Tateyama, the most convenient way is to stay at Toyama. We were glad that the hotel chain Toyoko Inn that we have been staying has opened a new hotel (Toyko Inn Toyama-eki Shinkansen-guchi No.2) in April 2018, just 2 months before we visited there! So we could enjoy the new amenities! Located near Sea of Japan, there are abundant of fresh seafood in the region. On the first day at Toyama, we had dinner at a sushi restaurant called Sushitama at Toyama Station. The sushi set that I ordered (1512 yen) includes local specialty like white shrimp, hotaruika (firefly squid that glows in the dark), and nodoguro (blackthroat seaperch). This was my first time in my life trying those unusual seafood! On the second night at Toyama, we had Toyama Black Ramen at Menya Iroha CiC. I enjoyed the first few sips of the soup base, after which I found it slightly too salty for my liking. As we walked around Toyama Station, there were many souvenir shops and eateries. We saw mazusushi - pressed sushi wrapped in bamboo leaves. The traditional type is circular shape and is quite big, I thought I would not be able to finish the whole sushi by myself as the rest of the family were not keen. So I bought a small square one to try. Another Toyama's specialty is kamaboko (fish cake), we spotted a giant one that cost 32 000 yen (~SGD390)! It was a pity that we didn't have much time to explore Toyama. 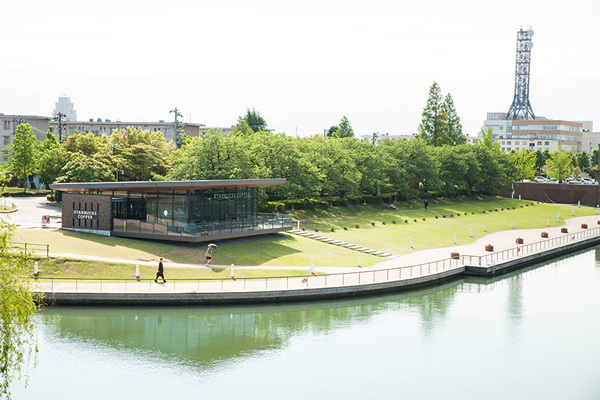 If you are in the area, you can consider visiting Kansui Park, there is Starbucks which is said to be one of the most beautiful Starbucks in Japan. image source: Is Japan Cool? 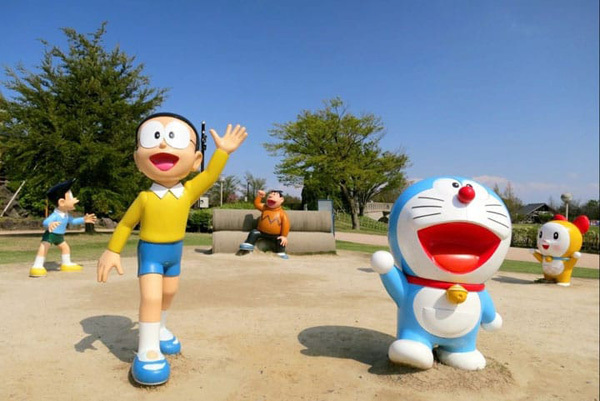 Another place for consideration is Takaoka 高岡 if you like Doraemon, you can find Doraemon and friends at Takaoka Otogi Forest Park!